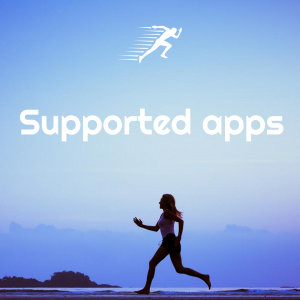 The synchronization feature with Garmin, Polar, Suunto and TomTom is still in progress, but we can now offer third-party apps the possibility to send activities directly to RUNALYZE. We have implemented a limited API for this purpose. Step by step we will give more apps access to the interface after checking them beforehand (if you are interested in connecting your app to RUNALYZE, please send a short mail to michael@runalyze.com). The first app “HealthFit” is by Stephane Lizeray and only available for iOS. It’s an amazing app because it uses Apple HealthKit as Resource and you can see any activities by apps which support Apple HealthKit. This way, you can use your Apple Watch to record activities, too. You can filter your workouts and push them easily to RUNALYZE. Since Polar’s app supports HealthKit you should see those activities in that app and will be able to push them directly to RUNALYZE. Isn’t that great? But: Nike Run Club, Runkeeper, Strava and Garmin Connect do not write GPS data to Apple HealthKit, so that HealthFit cannot push activities from that source with gps to RUNALYZE. Thanks Stephane to be our testing candidate. When our API grows his app will be also able to push more health data like body weight, fat percentage and more to RUNALYZE. You can revoke the app’s access to your account at any time. Currently, apps can only push activities to your account, nothing else. In a later stage you will see what an app is allowed to do. If an app request more rights to do something else in your account you will have to explicitly allow that. We are looking forward to support more apps and are already in direct communication with some, e.g. LocusMap. In the first phase, we will continue to report apps that support RUNALYZE here on this blog – and mention them on Twitter, Facebook and partly Instagram, such that you will always stay up to date. Nice. Got the app, but how do I connect it? Select an activity -> click on the “…” Icon. There you should see Runalyze. Click on it -> Login and allow the access for HealthFit.